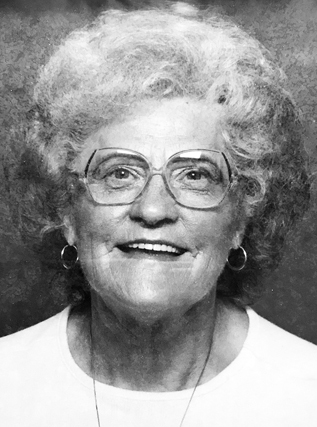 Louise R. Barnhart, 85, of Flemington, formerly of Beech Creek, passed away on Saturday, March 9, 2019 at the Gatehouse, Williamsport. She was born in Mill Hall on April 6, 1933 a daughter of the late Lloyd Edward and Ruth Catherine Swartz Farringer. Louise was united in marriage to Glenn F. Barnhart, he preceded her in death on June 5, 1995. She later married Sheldon I. Lowery and he preceded her on Aug. 10, 2005. In her early years she had worked at Sylvania and Piper, and later on she and her first husband ran their family farm raising cattle and hogs for 25 years. She was a former member of the Beech Creek Grange and Daughters of American Revolution. She had also been a member of the Blanchard Church of Christ and most recently was attending the Farrandsville United Methodist Church. Louise enjoyed shopping, looking for antiques, attending any parade, but above all she loved time spent with her family. She was a wonderful Mom and Grandmother. She and Glenn were blessed with two sons, Dennis L.(Maureen), and Russell W.(Kathy) Barnhart both of Lock Haven and two daughters, Jo Ann (Tom) Zettle of Flemington and Shirley Jean (Charlie) Patten of Hemphill,Texas. She is also survived by two sisters, Jane Myers of Avis and Juanita (Roy) Reeves of Sulpher Springs, Texas; 13 grandchildren and 35 great-grandchildren. She was preceded by a grandson, Daniel Ingram, and a brother, Glenn Farringer. A funeral service celebrating Louise’s life will be held on Wednesday, March 13, 2019 at 11 a.m. at Kader-Neff Funeral Home, 135 W. Main St., Howard. Friends will be received at the funeral home on Wednesday from 9 a.m. until 11 a.m.
Services will be officiated by Certified Lay Pastor Sharon Weaver. Burial will be at Christian Cemetery, Blanchard. Memorial contributions may be made to Farrandsville U.M.C., Box 388, Lamar, Pa. 16848. Online condolences may be made at www.kader-neff.com.